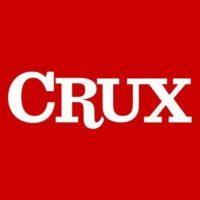 For those of you unfamiliar with the relics on Papal Artifacts or with the practice of venerating relics in the Catholic church, we hope this information about venerating what our Church deems as sacred will help you. A clue for those people not familiar with this practice is the incredible beauty of many reliquaries, attesting to the sacredness of and reverence for the object you are seeing. 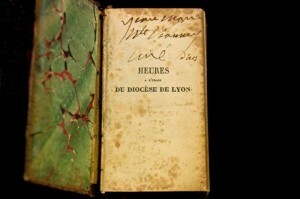 Papal Artifacts has numerous relics connected to all the pontiffs included in this Collection and to many saints–among them, St. Jean Vianney, for whom Father Kunst has a great devotion. 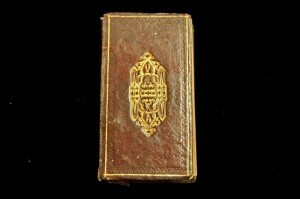 We invite you to visit the Relics’ pages where they are featured. 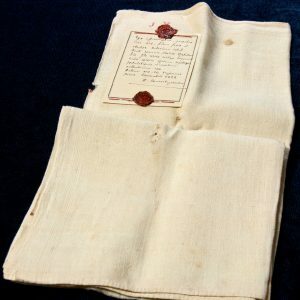 NEW YORK – The 150-year-old heart of a French priest is on a U.S. tour – a Roman Catholic relic with New York City as its latest stop. It was on display Saturday at St. Patrick’s Cathedral on Fifth Avenue, where both the faithful and the curious lined up to see the human organ behind glass. The Knights of Columbus fraternity is sponsoring the pilgrimage of this heart, which has been to 28 states so far, with more coming up. Cardinal Timothy Dolan, the archbishop of New York, is to lead a Sunday procession venerating the heart of Saint John Vianney, who was a priest in the southern French town of Ars, outside Lyon. He lived during the French Revolution, helping to hide priests on the run. The tradition of preserving the body parts of saintly Catholics goes back to the Middle Ages in Italy. When St. Catherine of Siena died in Rome, her hometown of Siena wanted her remains. But they didn’t want to get caught making off with the whole body, and decided to take just her head. Vianney is considered the patron saint of parish priests, famed for hearing confessions for endless hours with an ear so understanding that he drew Catholics from all around Europe. In the next week, Vianney’s heart will be displayed in schools and churches in other parts of New York City – Staten Island, Queens and Brooklyn – and Long Island, as well as other venues on the East Coast. 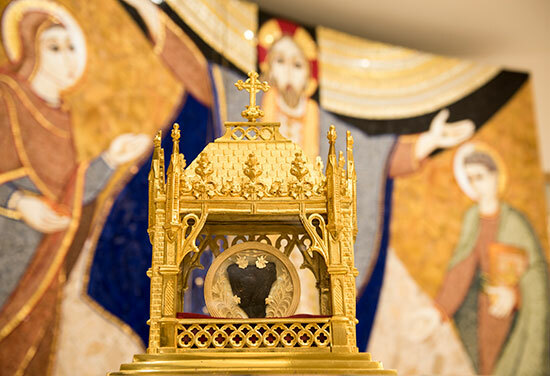 The relic is to return to its permanent home at a French shrine in Ars in early June. The U.S. tour began in November. AP radio correspondent Julie Walker contributed to this report. One of my favorite things in the world to do is travel to Rome. My passion for church and papal history makes Rome my proverbial candy store. Anyone who has spent time in that beautiful city can attest to the beauty of the churches, but in the tours I have led to the Eternal City, I have found varying reactions to the relics on display in their sanctuaries. It seems that most of the churches have some sort of major relic on display, anything from the crib of Christ to the chains that held Peter in prison, to literally walls of saints’ body parts right before your eyes. 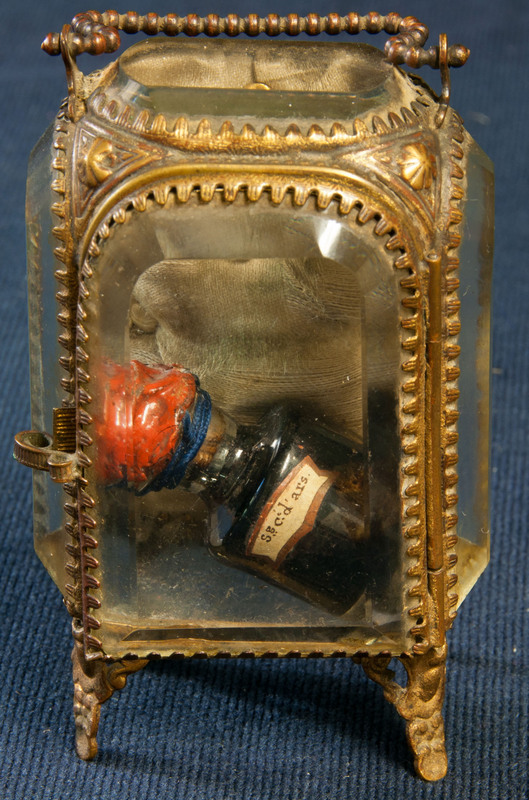 To some this might seem macabre; to the church it is the age-old practice of venerating relics. All cultures treat their dead with respect. For Christians, who believe that the body is the temple of the Holy Sprit, it only follows that great respect should be given to those who most clearly lived out the Gospels, those who most clearly lived in imitation of Christ. Catholicism has rightly been referred to as the religion of “smells and bells,” which to my way of thinking is completely appropriate. God made us physical, tangible beings, so it is the physical, tangible world that very often speaks to us in a most eloquent way. Our religion is full of physical symbols, not the least important being that of relics. There are three types of relics, three traditional classes. 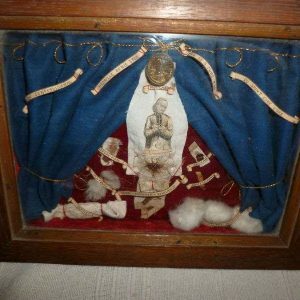 A first-class relic is the body of a saint or a part of a saint’s body. It could be a piece of bone, flesh or even a lock of hair. 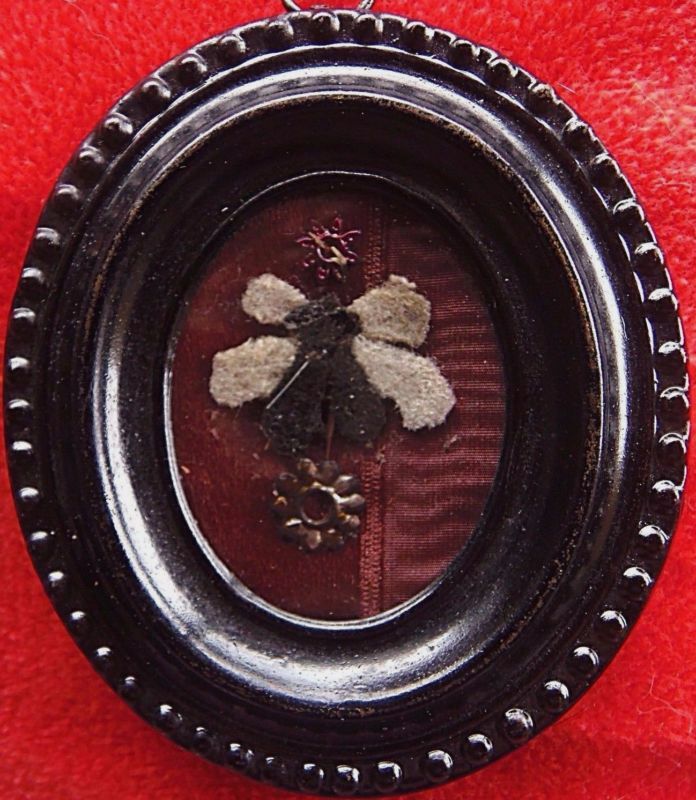 A second-class relic is an item that the saint wore or used in his or her lifetime. A third-class relic is a piece of cloth that was touched to the body of a saint. Very often you will see a second- or third-class relic in a holy card or in a medal pendant, while first-class relics are rightly more difficult to obtain and will need documentation to be considered authentic or used for public veneration. Relics are not magical, nor are they tools of superstition. If they are used as such, they are quite literally being abused. Relics are only worth the faith they provoke. 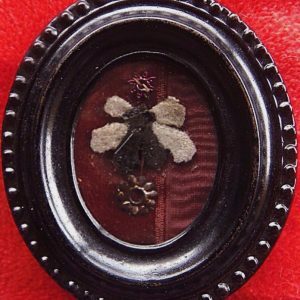 If someone wears a small piece of cloth of a saint in a pendant for good luck, then the relic is of no use or of value. If, on the other hand, a relic inspires the faith, then it is of great value and has served its purpose. It may surprise you that venerating relics and the potential power of relics is also scriptural. In the Second Book of Kings, we see how the bones of the prophet Elisha bought a dead man to life: “They cast the dead man into the grave of Elisha, and everyone went off. But when the man came in contact with the bones of Elisha, he came back to life and rose to his feet” (2 Kings 13:21). In the New Testament, too, we see the emergence of relics in the early church: “So extraordinary were the mighty deeds which God accomplished at the hands of Paul that when face cloths or aprons that touched his skin were applied to the sick, their diseases left them and the evil spirits came out of them” (Acts 19:11-12). The role relics have played in the faith lives of both the Jewish people and Christians is clearly documented in the Bible itself. 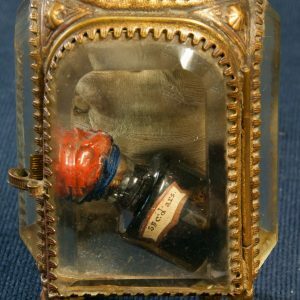 In church history, there has also been an unfortunate side to the veneration of relics, or at least in the collecting of them. Many kings, queen and emperors tried to out-do one another in a competition to lay claim to the greatest relic. Very often this was done for economic gain, since the greater the relic, the better chance of attracting pilgrims; the more pilgrims, the more money into your local economy. Out of this came the widespread forgeries that were taking place not only of significant relics but also of small ones, since many of these simple-minded pilgrims would be suckered into buying a fabricated piece of the relic they just visited. Eventually, the church became much more careful in guarding against forgeries and now is very careful and precise when distributing true relics. Something should also be said about the modern day “relic trade” on eBay and other online auction sites. The selling of relics has once again become big business because of these web sites. A simple search will reveal hundreds of relics that are available. It is against church teaching to buy or sell relics. Usually sellers find a loophole in stating the reliquary is what is for sale, and that the relic comes free with the reliquary. There are also many forgeries out there; there is no such thing as a relic of any class of St. Michael the Archangel.